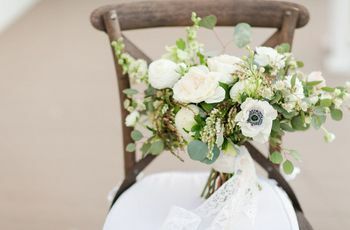 When it comes to your wedding-day floral arrangements, you likely want bouquets, centerpieces, and décor that not only fit your style and desired color scheme, but also look fresh, lush, and photo-worthy—and stay that way from start to finish. That’s why hiring a professional florist is a must. Yes, it does cost money. 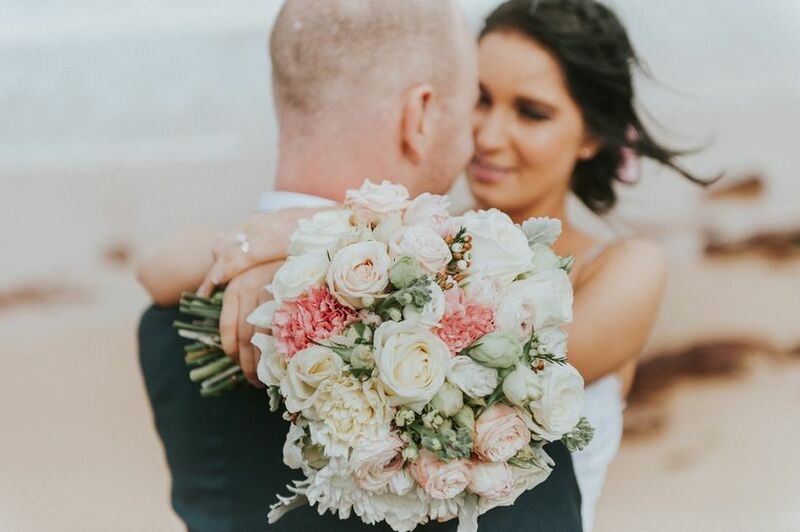 The average couple pays $1,814 for their wedding flowers (but that number does vary widely around the country)—but there’s a lot more to that price than just the flowers. When you first meet with your florist, you’ll likely discuss your vision for your wedding—your venue, style, color palette, flowers you love, flowers you don’t love. You’ll also talk logistics: how many floral arrangements you’ll need—bouquets, centerpieces, corsages, boutonnieres, altar arrangements, and more. Then, your florist will create a custom proposal just for you, based on your needs and wants. Creating a proposal can take hours of a florist’s time. This may be the most obvious part of a florist’s pricing—ordering and obtaining the actual blossoms that will be used for your wedding arrangements. In fact, it can take about three hours for a florist to put an order together. And there’s a difference between the flowers that your florist purchases from a wholesaler or grower, and the flowers you might find at a grocery store, say. These flowers are grown with the expressed purpose of being featured at events and are specifically hand-selected for their color and quality, to make sure that they will perfectly match your color scheme and won’t bruise or wilt before your wedding. Your flower selection will play a big part in the pricing as well. Florists source flowers from all over the world. If you select flowers that are not in season or difficult to find, you’ll likely end up paying more. And some flowers are just more expensive than others (hello, peonies!). 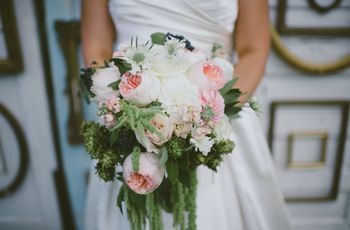 It’s best to flexible and trust your florist to help you choose blossoms that will best work with your style and budget. A lot happens between your wedding flowers’ arrival to your florist’s location and when they are arranged into bouquets, centerpieces, and more. This is called “processing” the flowers, and it includes removing any packaging or wrapping, washing and cleaning each bloom, administering flower food (which is expensive! ), taking thorns off roses, counting the flowers, and removing excess greenery when necessary. This prep can take up to eight hours and starts several days before your event. Without processing, your flowers will start to wilt sooner and won’t look fresh and gorgeous on your big day. Your flowers will then be kept in a cooler and cared for until they are ready to be arranged. Large coolers like the one your florist has require a lot of electricity—another expense. Now it’s time for your flowers to be skillfully arranged into beautiful bouquets, centerpieces, and other décor and personal flowers. Each item takes time—even small boutonnieres are particularly labor-intensive, taking about 20 minutes each to create. Every wedding is different, so your florist will be able to determine how complex and labor-intensive your arrangements will be and how much time they will take to create—and in effect, how much each one will cost. There are a lot of extras that go into creating wedding arrangements—some you can see and some you can’t. From the wire that keeps boutonnieres from drooping to foam which is the base for many centerpieces, floral tape to hold a bouquet together, and more, these supplies are an important part of the “mechanics” of your floral décor—and part of the reason why professional florists create arrangements that hold up so well. There are also the more obvious accessories—vases for your centerpieces (florists are constantly looking for new vessels to add to their collection! ), candles and other accessories for your tablescapes, and the ribbon that ties bouquets and boutonnieres together. All of these supplies cost money and are a little-known part of a florist’s pricing. Not all of the prep for your wedding can be completed in advance—a lot has to be done on site. On the day of your wedding, your florist will have to carefully package the flowers and arrangements in a special vehicle that has been rented or purchased, and transported to your venue. Sometimes, multiple vehicles or trips are required to make sure everything is transported properly. It then will likely take several hours to set everything up, depending on how labor intensive your wedding décor is. Floral designers and workers may have to build ceremony structures, hang garlands from the ceiling of your venue, decorate each of your reception tables, and generally make sure that all of your arrangements look amazing and are delivered and set up correctly. This can take several hours before your wedding even begins. After your floral arrangements are beautifully set up and your wedding begins, your florist’s work is not done. 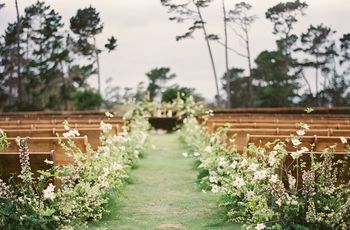 Your florist will head to the venue at the end of the night to remove all of the arrangements and vessels and assist with the clean up process. Indeed, a wedding day is a very long day for you—and your florist, too! 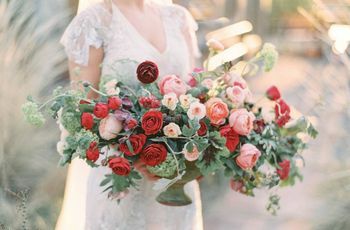 There are lots of expenses associated with running a business—from electricity, internet, and phone service to ensure that your florist is able to easily communicate with you, to marketing and advertising, so that you and other couples can find and hire your florist. 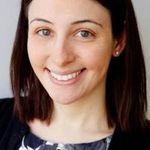 Special thanks to Tristin Johnson of Orchid Princess Floral in Denver, Colorado, Catherine L. Shock of The Highland Gardener in Tallahassee, Florida, and Heidi Palomino of Palomino Floral Designs in Schaumburg, Illinois for their assistance with this article.